Regional conferences and other large-scale events that unite and educate UAS program managers operators, and stakeholders. Drills and full-scale exercises based on HSEEP principals to validate UAS team proficiency for emergencies and disasters. Local training camps and clinics providing detailed instruction on specific public safety UAS functions and evolutions. "The DRONERESPONDERS Public Safety Alliance will forge partnerships with other organizations across government, industry, and academia to continue the adoption and evolution of UAS,"
"Hope is not a strategy. DRONERESPONDERS will prepare UAS programs and their operators to work together more effectively to save lives and property." "DRONERESPONDERS is the first step of a combined effort among the whole community to fully integrate UAS for public safety and emergency management."  Learn about the latest developments of the DRONERESPONDERS program!